Wang Xing Ji is the champion for tang bao, massive soup-filled dumpling from China’s coastal Jiangsu province. 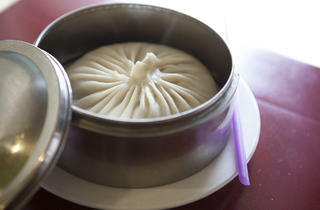 Like the xiao long bao, the soup-filled dumpling is pinched with crown of folds on top, but five times larger. 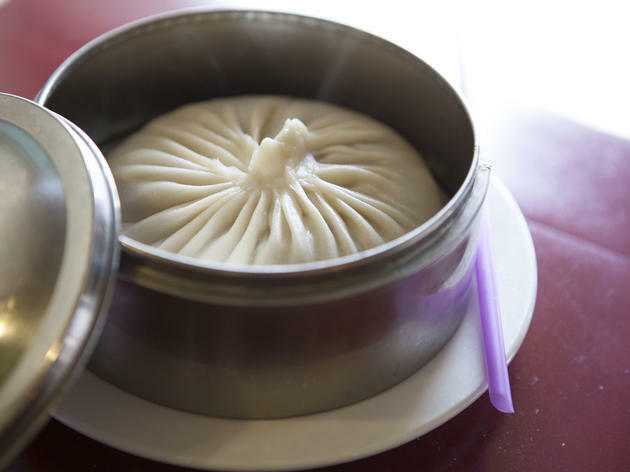 This SGV culinary destination offers these soup dumplings on steroids ($4.95) stuffed with freshly ground crab and pork and served in a personal bamboo steamer. Slurp before eating: Stick a straw into the leathery, flour wrapper and start sipping. Just be mindful of the soup—it can burn.